So it is that time of the year again where brave families take the plunge and pack up for Christmas and New Year and head for the Alps. There is always a fantastic buzz around resort and everyone can’t wait to hit the virgin slopes. However it is also one of the busiest times of year where the slopes can become crowded during the peak times of the day. Lift queues can grow towards the end of the day and often families with young children want to try another activity for a couple of hours. Fortunately in Le Grand Massif sledging and toboganning is catered for extremely well. It gives your young ones their snow fix without having to tackle the lift queues. At Samoens 1600 there is an area specifically dedicated for both activities. The plateau at the top of the main cable car heading up from Samoens is particularly good for young children to play in the snow without any downhill skiers hurtling past them. At Morillon there are ‘piste de luges’ in both Morillon 1100 ‘Les Esserts’ and in the main Morillon village. So if the queues at the end of the day are proving a little tiring then tobogganing and sledging is always a great alternative for a few hours. 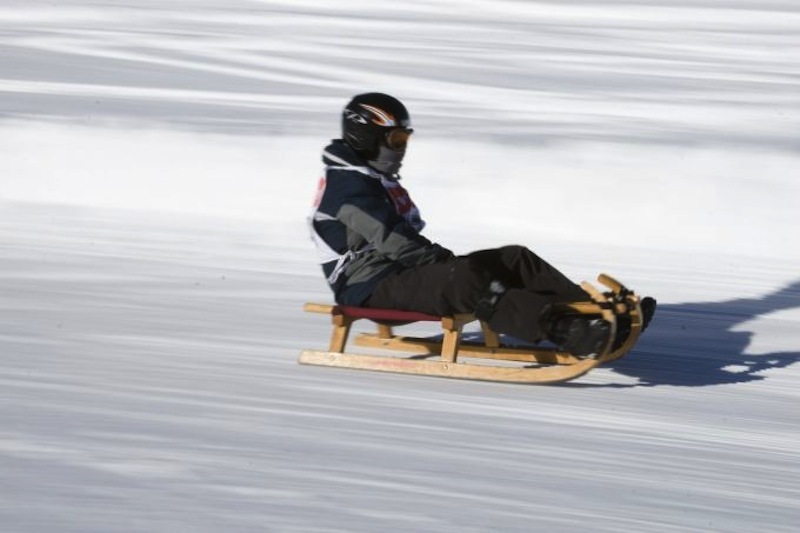 At Chalet Mautalent we have a selection of sledges that we are more than happy to lend our guests for a couple of hours. And if you don’t watch out you might find that you enjoy it as much as your children!